We would really like to break down our almost 40-Year Brick Wall and learn the origins of our earliest, William, b. abt 1716, somewhere (calculated from his burial and will). "William MEERE, Yeoman, and Mary CANTER, Spinster, were married, by licence, on 25th. July 1754 at Winterbourne, GLS. Both were of the parish." He's then documented in Mangotsfield, GLS (Sep 1754 son William's baptism and his own 1793 burial); Westerleigh (1757 daughter Elizabeth's baptism); Dyrham (1765 - 1793; daughters Mary's and Hester's baptisms; worked on Blathwayt estate (now National Trust property, Dyrham Park); granted a lease to The Crown Inn, Tolldown, 1776; churchwarden at St. Peter's, Dyrham & Hinton). Marriage license information of his daughter Elizabeth to Joseph HIGNELL, Dyrham, 1788; Elizabeth last mentioned in the 1825 will of her sister Hester as of the "parish of Stapleton in the county of Gloucester"
Map of the Durham area circa 1785. The discovery of William/Mary's marriage is exciting and explains the connection to Mangotsfield via Mary's CANTER family. However, it has not led to any other early information about William: no sign of William's birth; no sign of any siblings, etc. at all in the area. William MEERE's son, William, Jr. m. Ann BUSH, 1793, Batheaston.It was thought that they lived at Toll Down until about 1806 (after mother died and willed her estate to maiden daughters Mary/Hester), but they have recently been discovered in Bitton as early as 1802. William was active at St. Mary's, Bitton, where he was a churchwarden for a time. Descendants are in GLS (Bitton, from 1806), WOR/WAR (Selly Oak, from abt. 1860). I am descended from William, Jr./Ann (nee BUSH) via their son John, who m. Rachel LEWIS, 1822, Bitton and via their daughter Hester, who m. James THOMPSON, 1820, Bitton. John/Rachel's son, John, m. Hester/James's daughter, Mary Ann THOMPSON, 1844 Bristol. John/Mary MEERE were part of the mostly THOMPSON migration from Bitton to Selly Oak abt 1861. Another brother of John/Hester was Giles Bush, who m. Elizabeth PASSMORE, 1853, North Stoke, Somerset. 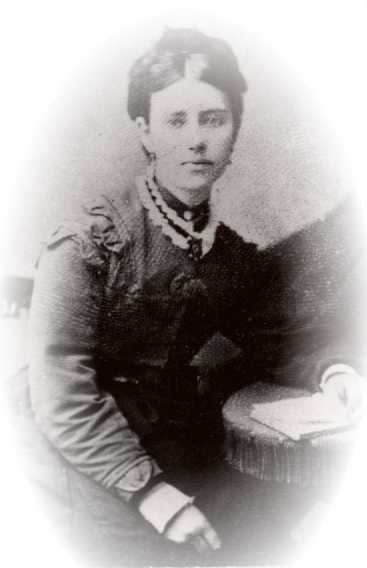 Their daughter, Mary Jane, m. George KIBBLE, 1877, Walcott, Somerset (Roy's line). 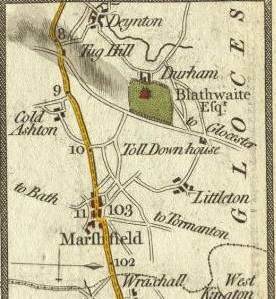 Giles and his family stayed in the Bitton area. Martin is descended from Edmund THOMPSON, a son of Hester (nee MEERE)/James THOMPSON. Edmund was part of the migration from Bitton to Selly Oak abt 1861.